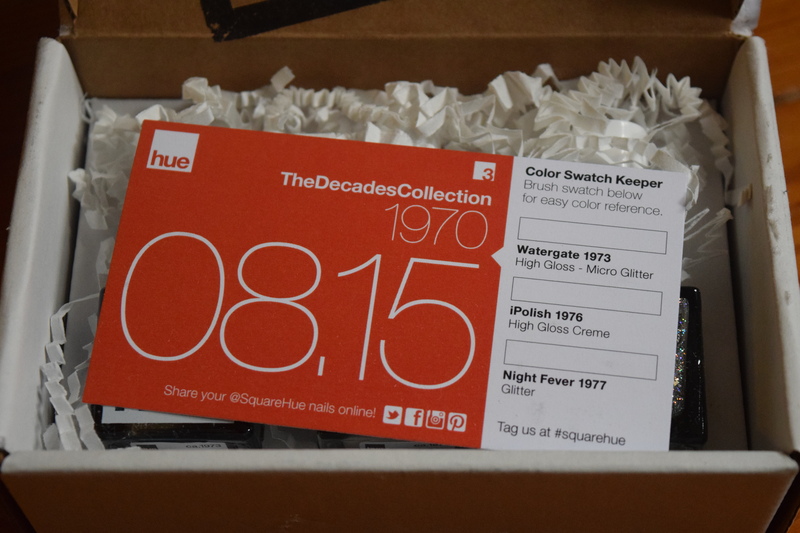 I’ve been pretty excited for most of the decades featured in Squarehue’s 2015 subscription. The exception to that was the 1970s. See, I was born in 1979, which would make you think I avoided most of the ugliness of it, but alas I was stuck with my sister’s hand me downs, so I wore things like little baby bell bottoms. My living room had a red shag rug, a bright yellow couch (encased in plastic for extra freshness) and these weird floor lamps with balls that looked like flowers in blue, green and yellow. My kitchen featured avocado green appliances. My mom only got rid of that couch a few years ago, so let’s say that I spent way more time in the 1970s than I ever wanted. My open box pics are to show you exactly how things come packaged. Take note of how the bottles came in the cardboard. It took all my strength not to take one out and make it so all the labels faced the same, but I quieted my inner OCD tyrant in reverence to authenticity. I guess they are going with the color of water for Watergate? I’m not complaining because I love this polish. It’s sparkly and fun although I’m not sure it’s seasonally appropriate. This would probably have been a better pick for earlier in the summer. I don’t really get the name, but the white totally makes me think of John Travolta’s leisure suit in Saturday Night Fever. It’s a classy take on the 70s and I find it thematically appropriate. 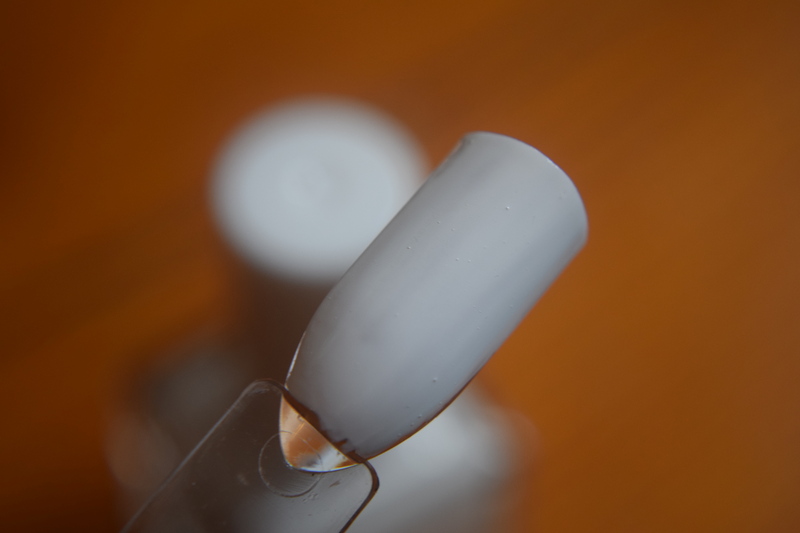 In regards to the formula, many white polishes are a nightmare to apply. They are super thick or very streaky. I swatched with one coat and I think it looks great. A second coat and this will be perfect. I think it’s my favorite white in my entire polish collection. 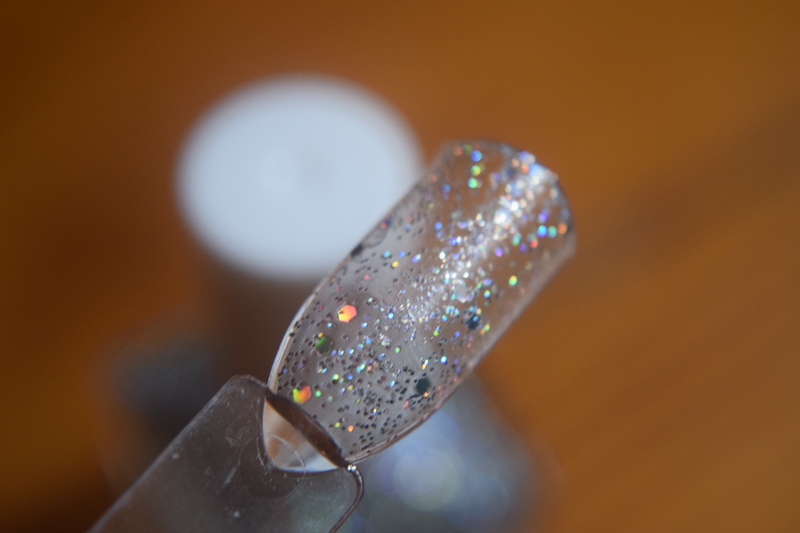 Personally, I would have called the white polish “Night Fever” and just gone with Disco or Disco ball on this one. This one obviously suits the theme perfectly and I think it’s a lot of fun. 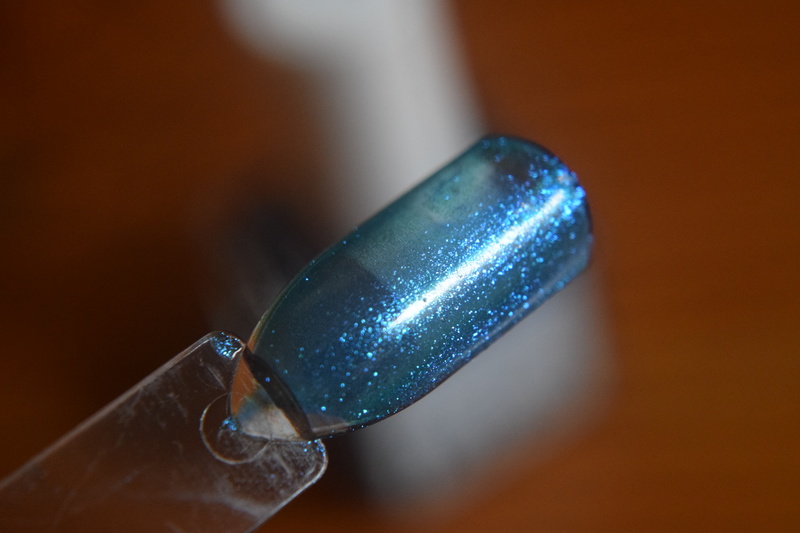 This will be a great shade for New Year’s or to use in jelly sandwich manicures. 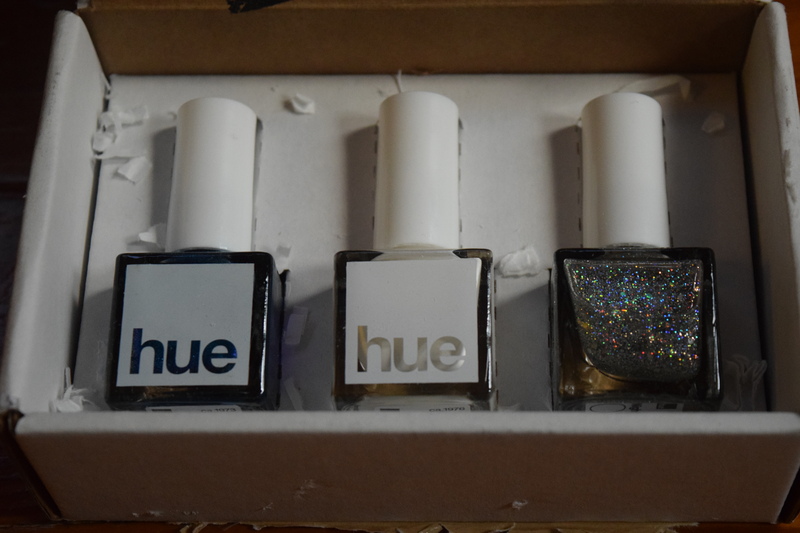 I love that we got a Holographic polish in this box. 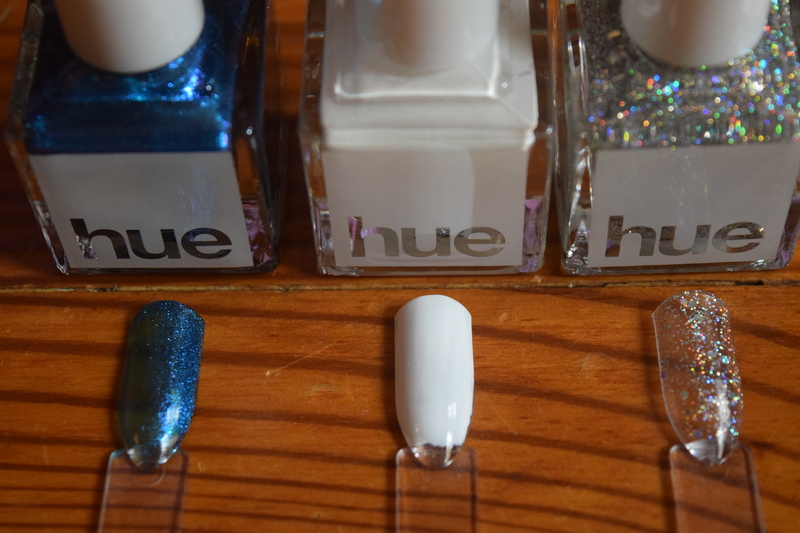 Shockingly, this is one of my favorite collections from SquareHue. 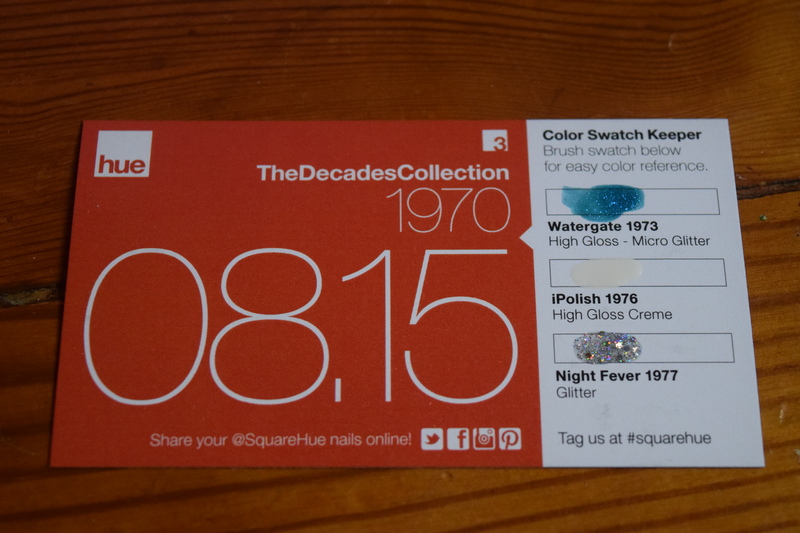 I had feared avocado green, burnt umber, baby poop brown and mustard yellow, but SquareHue definitely did a classy take on the 1970s, and included a new finish (the holographic glitter). 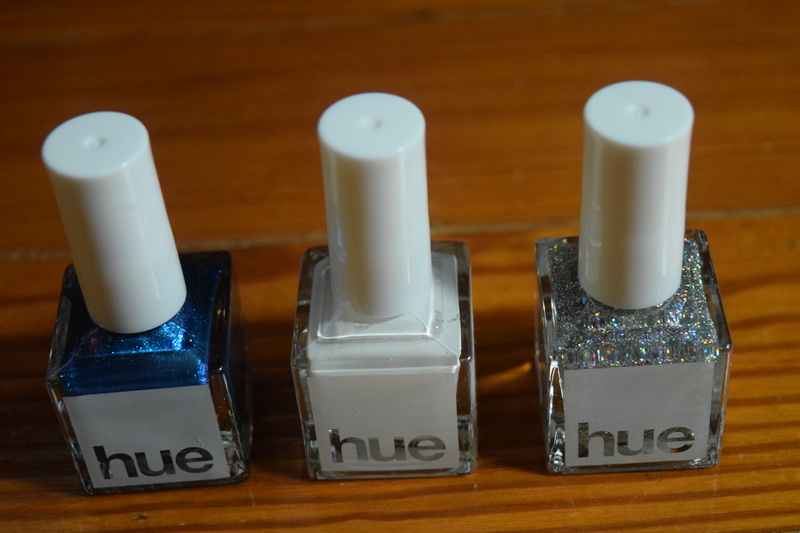 I’ll use all of three of these polishes, so the 19.99 I paid is well worth it. 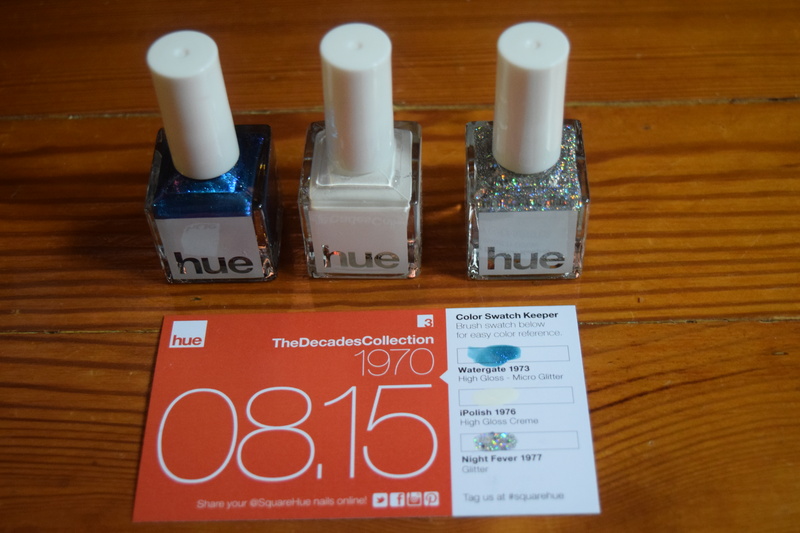 What colors would you expect in a 1970s themed Polish Box? SquareHue has introduced a new subscription option called Box. No. 2. For 10.99 a month (per shipping) you can opt for a 2 polish box (instead of the regular 3). The regular 3 polish sub is now Box No. 3. Box No. 3: $14.99 plus shipping for 3 polishes. New Option! Box No. 2: $10.99 plus shipping for 2 polishes. Automatically, a portion of your monthly subscription is donated to keep us accountable to what really matters. Currently a portion of all monthly subscription proceeds are being donated for prevention awareness, the protection of trafficked victims and the prosecution of human traffickers. Previous article	← Treat Chest Candy Club: August 2015 & Coupon Code! I love the 1970s colors which I use all 3 or as individuals! Great review and cause! The colors definitely work well together and would make a great New Year’s manicure!